Venue: Olympic Stadium of Athens “Spiros Louis”. The Yellow-black are the reigning champions in Greece. 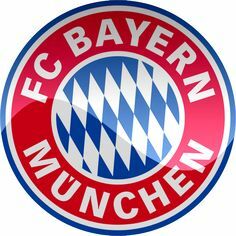 After 2 defeats in UCL they will host German champs Bayern Munich this Tuesday. Marinos Ouzounidis has been made coach by AEK management to repeat the domestic success and improve on their European record. The team is third in Greece and Champions league season is even worse. They are drawn with Bayern, Benfica and Ajax in Group E. The Union has lost the matches they played against Ajax and Benfica. The loss against Benfica 3-2 has raised some eye-brows among the fans. After conceding 2 goals in the first half AEK was down and out already. But they got a chance when Ruben Dias was sent off before half time. They equalized in second half but couldn’t prevent a 3rd from the Portuguese team. The Bavarians are suffering from ageing players and injuries.Niko Kovac’s team had a substandard performance for a 5-time European champions. They lost 2 matches in Bundesliga and was criticized by fans and media alike. The game against AEK will be easy for them considering the home side’s poor form. Kovac would like to win another UCL for Bayern .The last time they did it was in 2013. It is high time they did it again. Last 10 games of AEK saw them win 5 and lose 3. At home they have 2 wins in 5 games. Meantime, Kovac’s men have 6 wins from last 10 games in all competitions, lost and drew 2 each. In the previous 5 outings they have 4 wins and 1 defeat. The Greek and German champions have never met in a competitive fixture before. AEK’s overall record against Germany clubs is a humble 2 wins, 1 draw and 6 losses from 9 encounters. Those 2 AEK wins happened at their home turf, while losing in 3 of the remaining 5 home games against Bundesliga clubs so far. Bayern Munich are unbeaten against Greek clubs raking up 7 wins and 2 draws from 9 meetings so far. The Bavarians won 3 and drew 1 from the 4 previous visits to Greek soil. Domestic performance of the Bavarians have not been what was expected from them. A 3-0 defeat to Monchengladbach has questioned Kovac’s tactics. But considering the Champions league group is comparatively easy for them they will be favorites in Greece. AEK has not repeated the success in the Greek Superleague in Europe. Two losses in two games in the league is pointing to another group stage exit. Bayern will not have the services of Tolisso and Coman who are out on injuries. HT/FT Bayern/Bayern @ 1.73 (8/11).